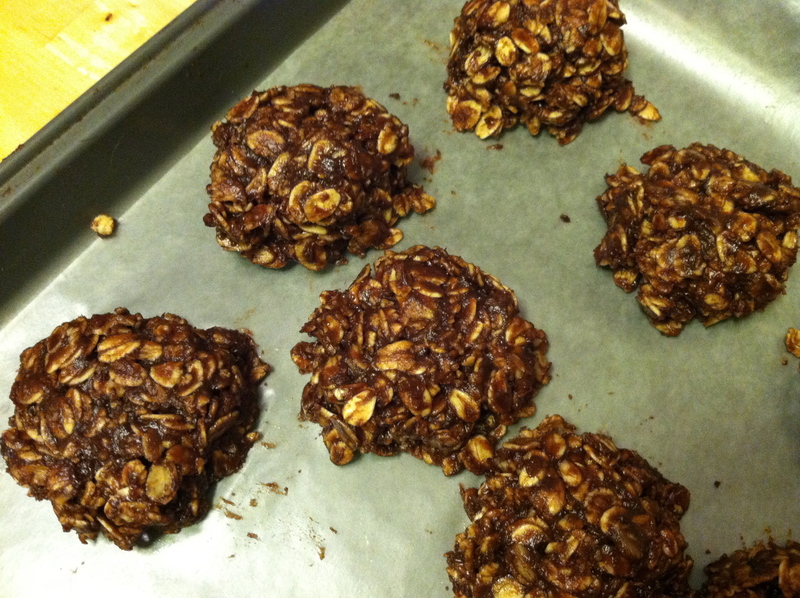 No-bake chocolate drop cookies. Yum! I woke up thinking about this recipe one morning this past week. I knew I had to make them and share the recipe here. They are so simple and quick to make and filled with nutritious ingredients. I grew up eating these cookies and they were always a favorite of mine. In college I asked my mom for the recipe so I could make and enjoy them at my apartment. Cutting down the sugar by half, I would happily devour them with a glass of milk as my breakfast or a snack before heading to class. I spent a few days with a dear friend at her cabin in Northern Minnesota during those fun college years. 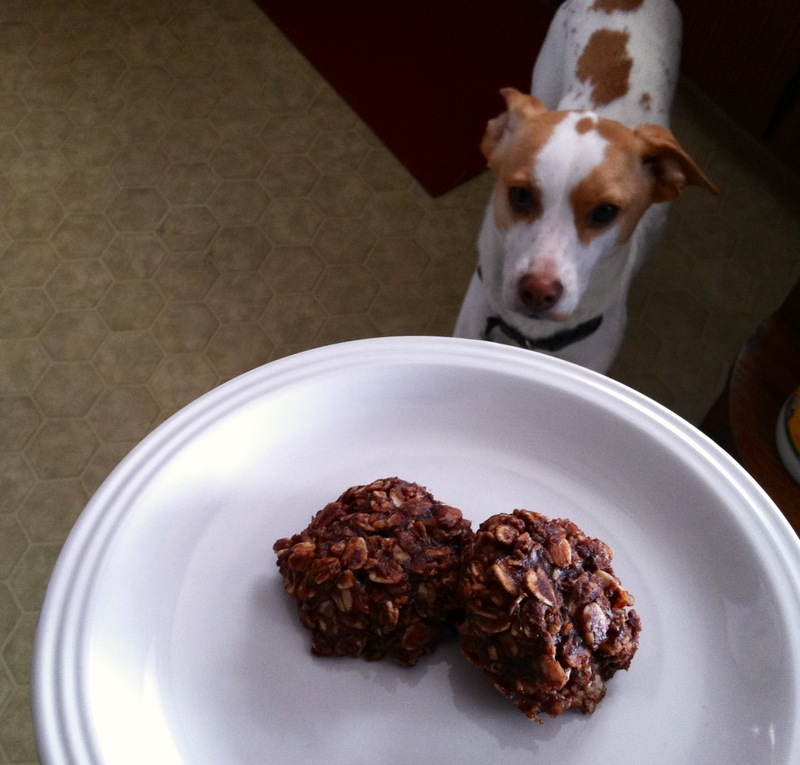 We got the idea to make these no-bake cookies and scavenged through the kitchen looking for the necessary ingredients. We ended up using packets of hot cocoa mix to substitute for the baking cocoa and boy did we enjoy our late night indulgence! Somehow the ill effects of too much sugar didn’t seem to phase me as much in the early days of living with diabetes and with youth by my side. Of course I did not have a CGM (continuous glucose monitor) keeping tracking of my blood sugars around the clock as I do now. Now I try to be much more mindful of my sugar consumption. I do not like how I feel when I eat too much cane sugar–jittery, anxious and irritable are not my idea of fun let alone the high blood sugars I experience. Pulling out this recipe over the weekend for the first time since college, I made a few more positive changes. Astonishingly, this recipe now has just 1/4 the sweetener that the original recipe called for! Growing up these were made with a whopping two cups of white sugar! Yipes! I also made a few other changes like quadrupling the amount of vanilla (Yum!) and using coconut oil as a healthy fat in place of butter. Below I have listed the ingredients I used in trying to create the healthiest treat possible out of this childhood favorite recipe of mine. There is much flexibility with the ingredients and I have listed alternate options in parentheses. Makes about 25 cookies. Add the oats and nut butter to a large bowl. Set aside. 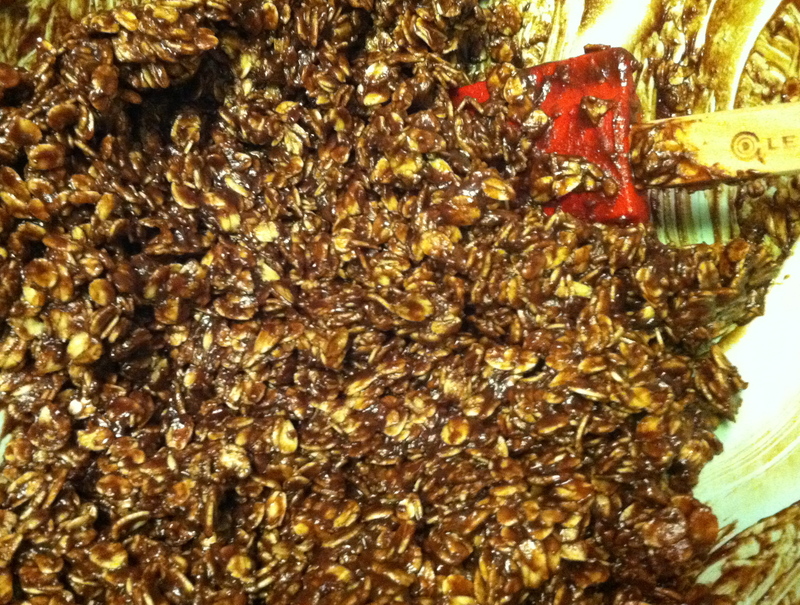 Combine in medium sized sauce pan: palm sugar, cacao powder, coconut oil, sea salt, stevia and almond milk. Stir frequently to prevent burning. Once boiling, boil for 1 & 1/2 minutes. Remove from heat and add vanilla stirring to incorporate. Pour hot chocolate sauce into the large bowl with nut butter and oats. Stir well to mix the ingredients. Drop by teaspoonful or small cookie scoop onto wax or parchment paper lined cookie sheet. 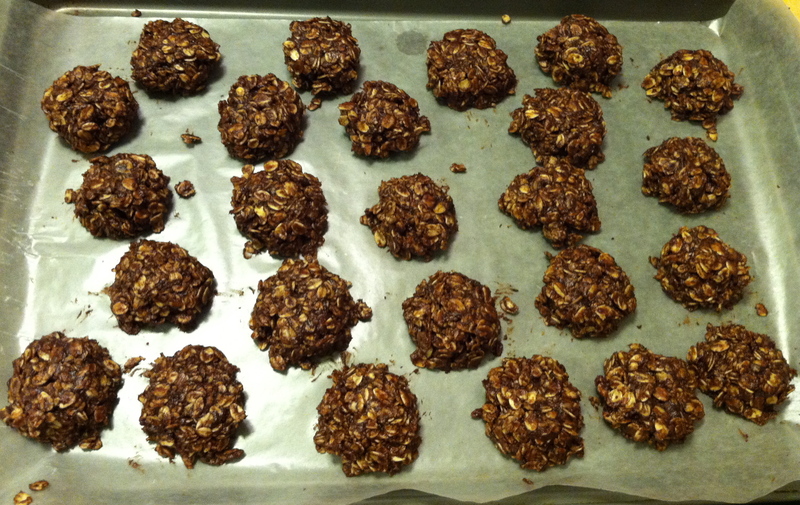 After dropping each cookie onto sheet, roll each cookie into a ball. You may flatten with your palm if you wish. Insert cookie sheet into refrigerator to cool for several hours. Once cooled and hardened, place the cookies in a storage container with lid and store in your refrigerator. Enjoy with a large glass of almond milk. Delicious! I welcome you to join our awesome online community at Diabetes Light on Facebook! You can also find us on Twitter @diabeteslight. I look forward to seeing you there! Almost Wordless Wednesday: I’m part of this family too, right?